Happy April! Here's a gift for you, because sharing is caring. You can find the recipe for some of the nicest oatmeal cookies you will ever ever eat right here. I'm so happy to be creating this post. March was madness, and not in a good way. Illness after illness, and then on the very last day of March I was rear ended, not terribly, but it scared me because I'm a nervous driver on the best of days. How I wish I could just ride a train everywhere! I was excited for March until I realized it was going to be a month of yuck. Now I'm excited for April, and hoping for less yuck. Box news: Japanese Tea Garden boxes will be going out later this month - this theme is closed and only going to my subscribers, but I'll show and tell the contents and maybe that will inspire some of you to sign up for my Summer Box! A batch of British Boxes went out at the end of March, and I'll be sending out more this month, and also in May. I'm taking orders for more May orders, if you're so inclined, and I have some new items for my Anne of Green Gables boxes. I'm sending those boxes out in May and June. The Anne boxes are SO charming! If you'd like one of those for someone you love or yourself, email me with your request and mailing information, so I can send an invoice. See the 'Info' tab at my blog header for more info and details. These little lemon cakes are just right for spring. This online country kitchen cooking class sounds amazing, and I saw on Heather's Instagram that a Spring version is coming soon. Fabulous Julie from Latherati has created new packaging that looks like beautiful book endpaper for her literary based fragrances - you must see! This book series sounds right up my inner 9 year old alley, maybe for you or your kiddos as well? Very pretty spring candy from Terrain - carrot cake marshmallows??? NEED. Seasons on other planets. COOL. Adored this house tour. And this one. I adore this Instagram feed. 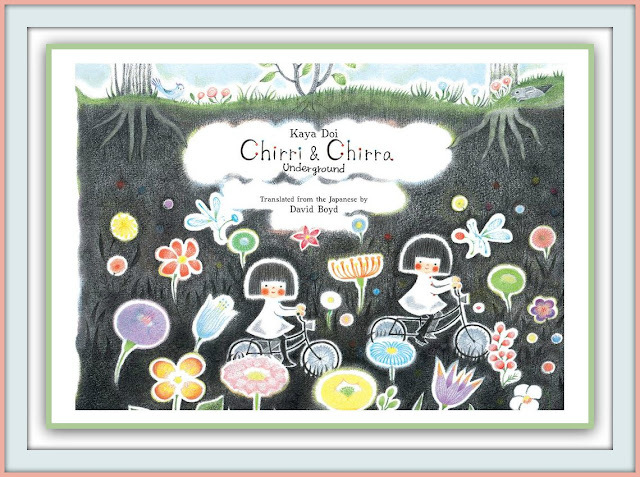 Cool Book of the Week: OH MY OH MY another Chirri & Chirra book is coming!! I'm obsessed with these books, and I still don't have the winter book yet, but I MUST get it and then when 'Chirri & Chirra Underground' comes out, I'll have to get this one so that my set is complete. Here is a post I did on the second book awhile back. So pretty right? These books are touched with fairy magic. Each one is SO beautiful and so gentle and sweet - about two darling bobbins who have enchanted expeditions in various aspects of the natural world. I can't WAIT for this! Gift worthy, unique, and absolutely delightful. OH MY WORD just saw that there's a 5th book coming THIS AUTUMN wherein the kiddos go explore a little town! I just gasped and squealed. Have a lovely rest of your week! I'd love to know what you're watching, eating, and reading! Springtime is often audition season for my theater loving daughter, so I'm not really watching much of anything, nor am I reading as much as I'd like, and we're eating far too much take out. I'm trying to get into weekend batch cooking - it seems so smart and such a good way to take the pressure off of school-week cooking. Love this post and I want to make those cookies very soon! I'm watching Penelope Keith's Hidden Villages every chance I get! Absolutely love that show!! have you seen it? If not, you would love it - all about little village towns throughout England. I really need to spend a Saturday batch cooking. It would make the weeknights soooooooo much easier!